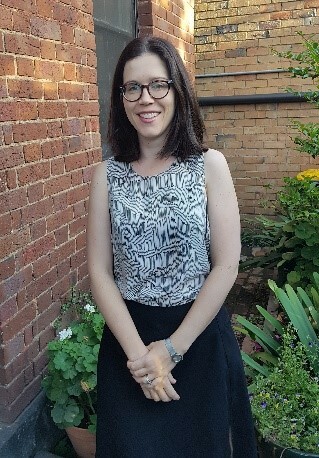 Since April 2018, Dr Kathryn Ducharlet has been providing outreach services as a Nephrologist to the community of Swan Hill at Swan Hill District Hospital (SHDH). At SHDH, she sees a variety of patients in the clinic who have chronic kidney disease, hypertension, transplant patients and those on dialysis. She is also undertaking clinical and research work to complete a PhD with the University of Melbourne. Her work seeks to improve the quality of life for patients with end-stage renal disease by integrating renal supportive care and palliative care services. Dr Ducharlet has always felt connected with people from rural and regional areas as her grandparents grew up and lived in regional Victoria. She feels fortunate to be able to build relationships with people in the region and is drawn to making a difference to improve the quality of life for people with complex medical illness, as part of their nephrology care. One example of this is spending time with dialysis patients and understanding their symptoms and focusing on what is most important to them. A challenge that Dr Ducharlet has encountered while providing outreach services has been connecting with other healthcare professionals and understanding how investigations and referrals are undertaken. However, the hospital, local GPs and dialysis staff have been very helpful. In the future, Dr Ducharlet sees her outreach role continuing to monthly visits, and establishing herself as an engaged and approachable clinician who is keen to support the local community to meet their health needs. RWAV acknowledges the funding provided by the Australian Government Department of Health under the Rural Health Outreach Fund.